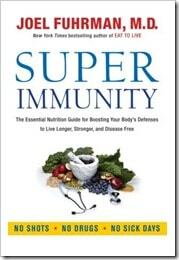 5 Simple Rules For Super Immunity! 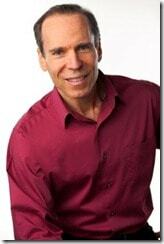 One thing about Dr. Fuhrman’s books that some find tough, is to eat the way he recommends is overwhelming and difficult. I see it differently however. As a “glass half full” kinda gal, I see small things I can add and incorporate into my families diet, while not stressing about the things we should eliminate and avoid. Berries and fruits to be the second highest in nutrients. Beans and nuts to be third. Dr. Fuhrman teaches, this simple hierarchy of healthy food should be the base of our daily eating patterns. Rather than seeming too hard to follow, this list actually gives me guidance. I worry less about what my kids shouldn’t be eating, and more about what they should be eating. Dr. Fuhrman has a new book called Super Immunity, The Essential Nutrition Guide for Boosting Your Body’s Defenses to Live Longer, Stronger, and Disease Free,and I couldn’t be more excited! This book has loads of research and real life stories of people who have overcome disease and illness through a superior, highly nutritious diet. Eat a serving of cooked greens with mushrooms and onions daily. Make sure you take sufficient Vitamin D to assure adequacy. I love this book! Today’s generation is getting sicker and sicker! If more people ate a diet higher in vital nutrients we would have less sick days, need less drugs, and spend less money on health care! Preheat oven to 350 degrees F. Mash peeled banana in a large bowl. Add remaining ingredients and mix thoroughly Lightly wipe an 8X8 inch baking pan with a small amount of olive oil. Spread mixture in pan. Bake for 25 minutes. Cool on wire rack and cut into bars. Refrigerate any leftover bars. This sounds like a great book! I would love to read it. Please enter me, my kids are always sick, although they love to eat “healthy”. I must be doing something wrong? With a world of sluggish, sick, irritable kids this sounds like a great plan to turn lives around for the better- looks like a great read! My 3 tear old is the pickiest eater! Please enter me to win a copy of this great book. Money on health care when a few simple changes can reap huge rewards. I would love to have this book. I strive to feed my kids as healthy as I can. Oh, I’d love this book. And I’m definitely getting the ingredients for those breakfast bars on the next grocery trip. Would LOVE to win a copy!!! My baby is not eating solid foods yet, but when he does, I want to be knowledgeable about what’s best to feed him! Sounds like a wonderful book! Wow, this sounds like a great book. I like to eat healthy and try my best to give my child the best foods possible. I would love to read this book! I will look into his other books too! This book sounds exactly like what my family needs! I learned a lot from reading Eat to Live and surely would reap the same benefit from this book. With 3 sick kids in the house today, this is just what I need! Thanks for this great post…sounds like a great book and I would love to read it! Great steps to optimum health for our kids and ourselves…plus I wish people wouldn’t get overwhelmed by the big picture when every little step is a step in the right direction! I have never heard of goji berries. Do you have to buy those at a health food store? Sounds like a good book. I would love love love this book! Thanks! sounds like a great book. the recipe looks yummy. wonder if i could find all the ingredients to try it. Mary: I have never found goji berries! I would probably leave them out. It only had 1 tablespoon anyway. Or, I’d add 1 tablespoon of a different berry. My 1 yr. old was born with a serious heart defect so I am determined to keep him as healthy as possible! Having a child with heart problems made me realize that what I feed him now will foster heathly eating and living habits for him long term and this will make a huge impact on his health for the rest of his life! I was so excited to find this blog and this book would be a great to have! I would love to have a chance to read this book also they do not have it in our library i have read disease proof your child and eat for live and they both have changed my life i am a mother of 4 children and im greatful for the for the info to save my family ! We are currently reviewing and shifting the way we eat. And as parents of 2 it is sometimes hard to know what is actually good and what is not. My son will eat greens in smoothies if they have enough fruit and we give them fun names :-). He hates cooked greens though, but he’ll eat a raw salad right out of our CSA box with a little olive oil and balsamic, so overall I am pretty lucky! While my son seemed to inherit my husband’s good immune system, I am sick constantly! The doctors keep telling me that it is because my son is young and in daycare–he brings the germs home, but I am the one that gets sick from them. I’m not totally sure I buy that, but I will do just about anything to boost my immunity at this point! I am so glad to have read this post. I would love to win a copy of this book. boosting immunity has been a major quest for me. I am super excited about these books! I think this is a book I need to read! Sounds like a good read. We are working to make adjustments to our diet in our household, so this book would probably go a long way in helping us know what direction to take. Thanks for posting about it! sounds like an awesome book! I like your approach as well and strive to do that for our family! I actually have all the ingredients for the recipe you posted (all but the juice) so I may try it w/ orange/apple juice instead. Looks yummy! We took some of his books from the library and we enjoyed reading them. Very nice giveaway! This book looks like one I need. Here’s to hoping that I win it!! I would be really curious to read this. I would love to read this book. I am always looking for ways to improve my kids immune system. I eat most of the things on his list. Does the Dr. give advice as to how to get my picky 2-year old to eat her veggies, let alone the leafy green kind??? sounds like an interesting book! i’d love to read it. I’m loving the idea of making food my medicine! This book looks so so good! Having a book filled with inspiration for healthy eating and real life stories that i can learn from, woot! I’m so glad you found the book to be helpful! Thanks for being a part of the tour. This book sounds like the perfect companion to our family’s journey of eating healthier and adding more greens to our diets. This book sounds great! And thank you for including the recipe. I must try it soon! Thanks again! Just put this book on my wish list, but I would love to win one! The recipes are the biggest help, so hard to know what to make. I would love to win this book and thus also have it in our local HMN library! I do also love the idea of adding IN healthy things. It works much better for me to think that way then to get overwhelmed and do nothing. Very interesting! Crossing my fingers! me! let us know how those bars turn out! This book looks right up my alley! I’ll have to try that recipe, too. I hope to win the book — sounds like a great read. Thank you! I haven’t converted my family to green smoothies yet so other suggestions would be great. Thanks for the great giveaway! Wow, that sounds interesting and helpful. Would love the chance to read it. This is soooo what i need, want, and have been looking for my family right now. I would love to read this book! I would love to win this book! And I’ll definitely try this recipe. Thanks! Great Article. I will be sharing his book with patients in our office. Just looked up the health benefits of goji berry.It’s amazing. Thank you for sharing. Amy I would love the book! As a pharmacist in the hospital setting I am exposed to all kinds of things that can make people sick. I truly believe that a strong immune system is our best defense and that eating the right foods makes a big difference. I am going to make those breakfast bars this weekend! Thank you so much for this website — I have used so many of your ideas. I am loving this book! (I’m not finished with it yet.) So cool that you get to give it away with Dr Furhman! I would love to read this! It sounds like a great resource! I’ve read two of Dr. Furhman’s books and would LOVE to read this one! Hope I win! I’m so happy I found your blog! So much great info! And I would love to win this book! I’d love to read a copy of this. The granola bars sound yummy. I’m such a huge fan of Dr. Furhman! I’m so excited for his new book. I hope I win it!! I love your idea of using what you can incorporate and not letting the other stuff stress you out. The way I ate was important to me before, but now that I have a baby, it’s especially important! No need to enter me in the giveaway. love the recipe for the bars! Would love to win this book. Just heard about Dr Furhman a couple weeks ago when a friend sent me a small amount of his bone and joint supplements that she still had form her own supply, after finding out I have a break in my leg that isn’t healing. Glad to have learned about him and this giveaway for his book. It would greatly benefit my grandchildren! Great book and recipe, too! your position would possibly try and replicate “wicked” using a similar sound. I LOVE your website! The information you share, recipes, recommendations, etc!! As a newly certified Nutrition and Wellness Consultant (and also a Mom AND a Mimi) , I find your reader-friendly information, related helpful links, etc are so on point! I’m hooked! Thank you! Thank you for such great feedback and such a kind compliment Cindy!